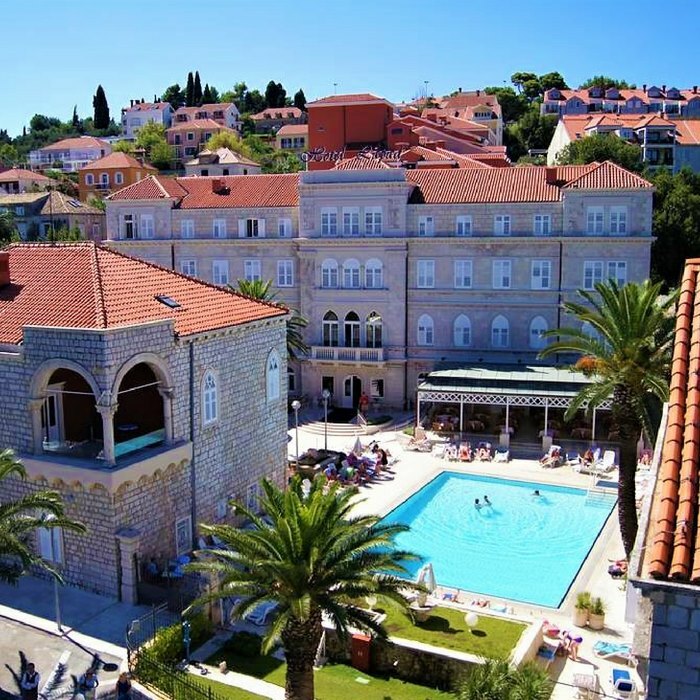 Book your luxury holiday to Croatia at the luxurious Hotel Lapad in Dubrovnik, a traditional 4 star sea-side hotel, situated in a former castle and overlooking the famous Gruz harbour where the cruise ships come and go. 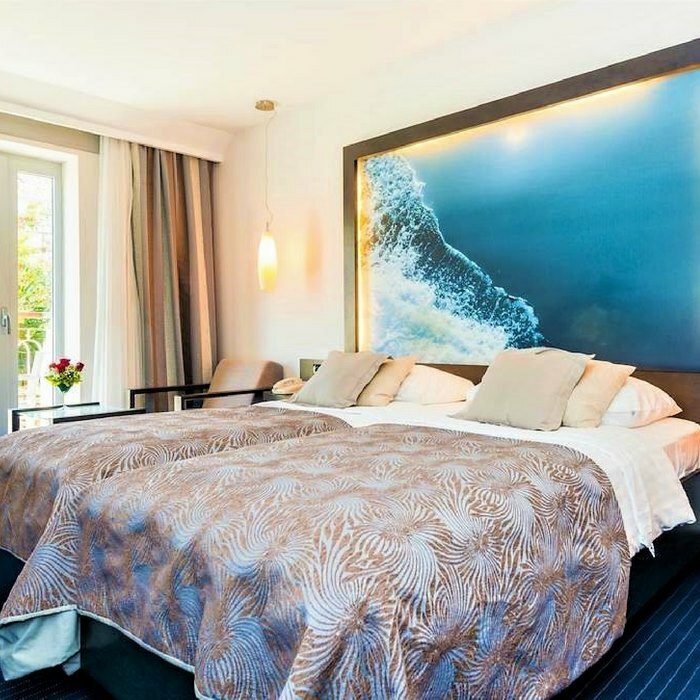 The hotel is ideal for guests who wish to experience a touch of local charm and character. 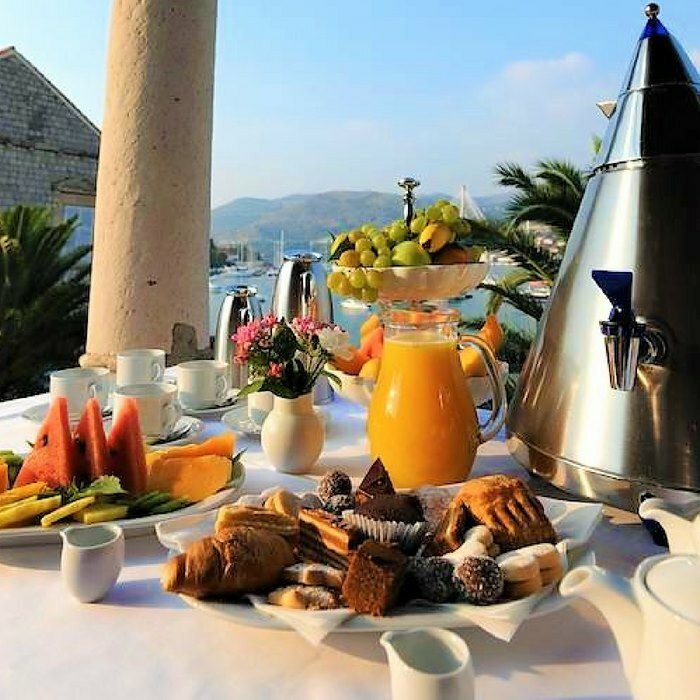 As one of the oldest hotels in Dubrovnik, the Lapad hotel oozes charm and class. 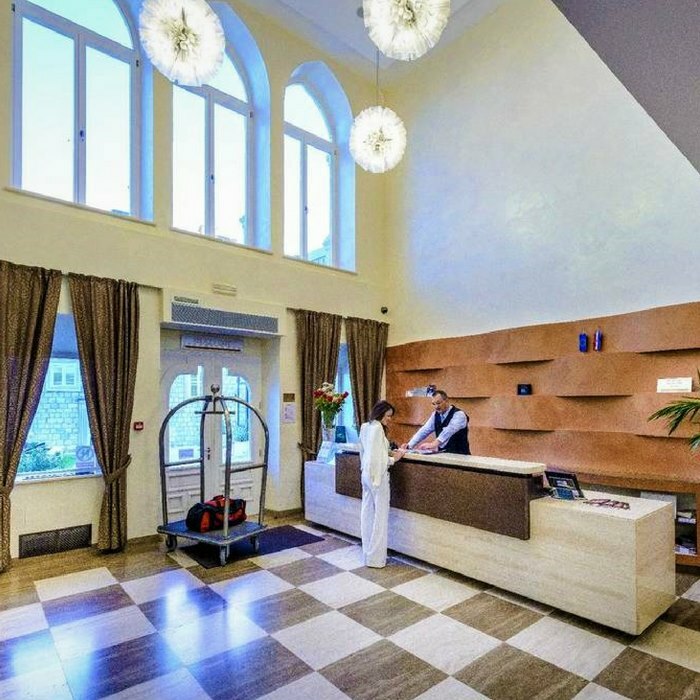 The traditional character of the hotel is combined with modern elements, making it a comfortable home away from home. 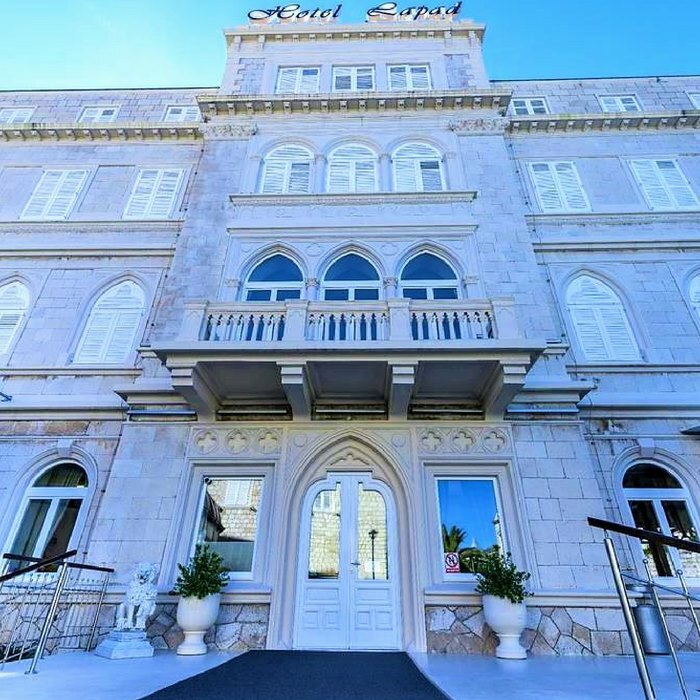 The rooms and suites of the hotel are divided over two wings and each wing offers its own style and character. 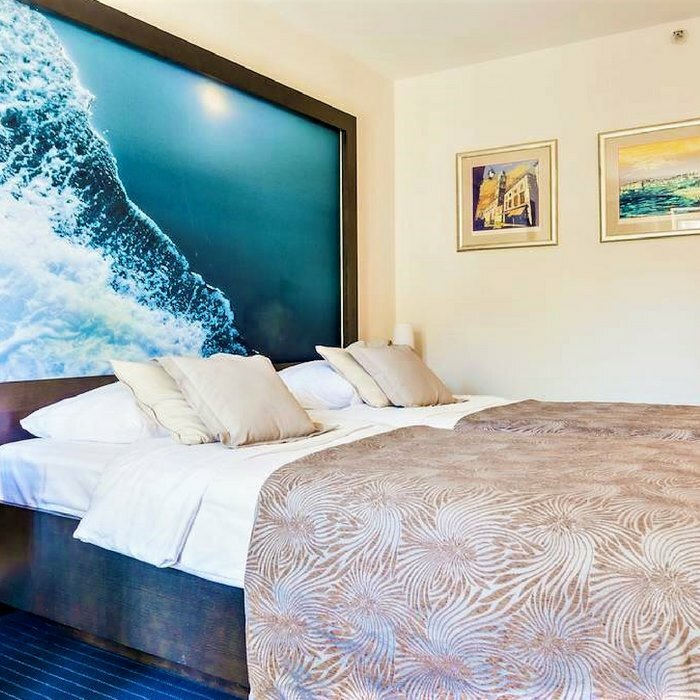 The rooms are equipped to the highest standards of a four star hotel and offer modern elegance in either warm, dark colours or fresh, bright colours. 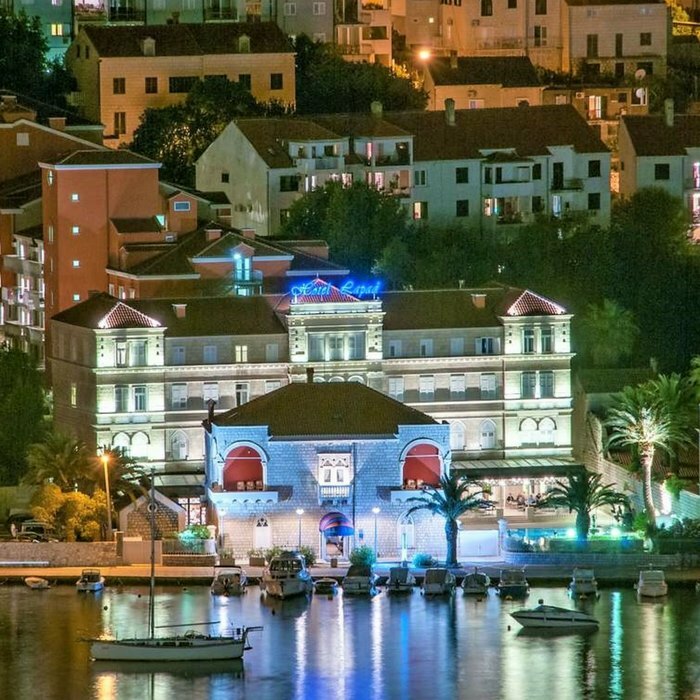 Entertainment plays an important role in the hotel, and the expert animation team knows how to make those long summer nights even more exiting by offering special themed evenings with live music. 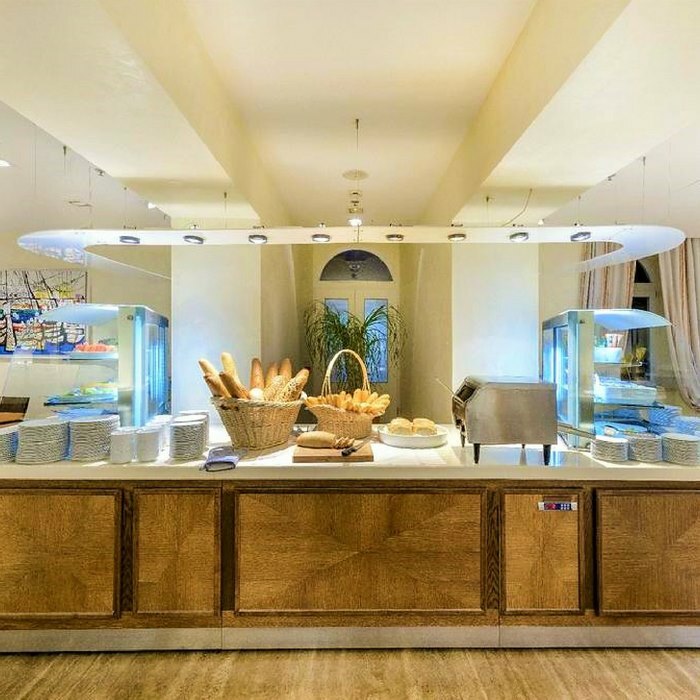 The hotel’s restaurant offers a buffet style breakfast and dinner with a large selection of hot and cold dishes, both international and Mediterranean. 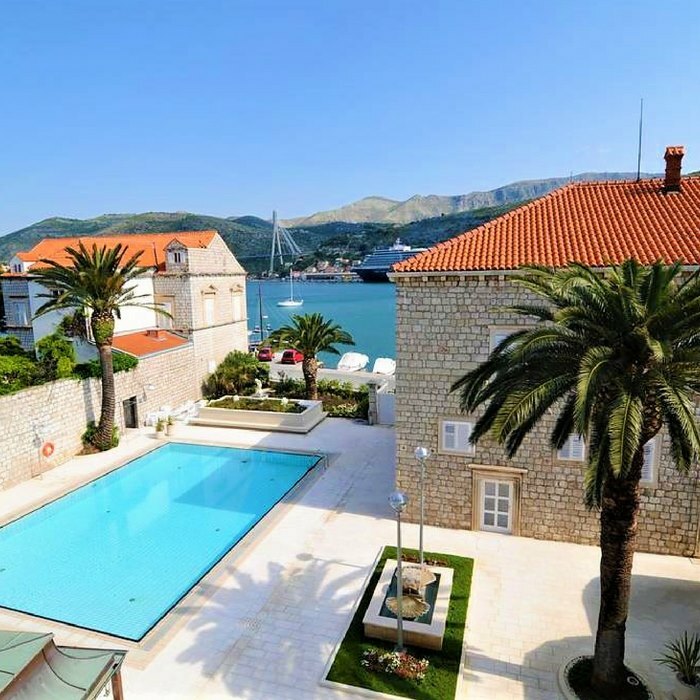 Relax on one of the sunbeds by the pool or enjoy a refreshing drink and a snack at the pool bar, while watching the ships sail by. The closest pebble beach is a 10 minute walk away from the hotel. 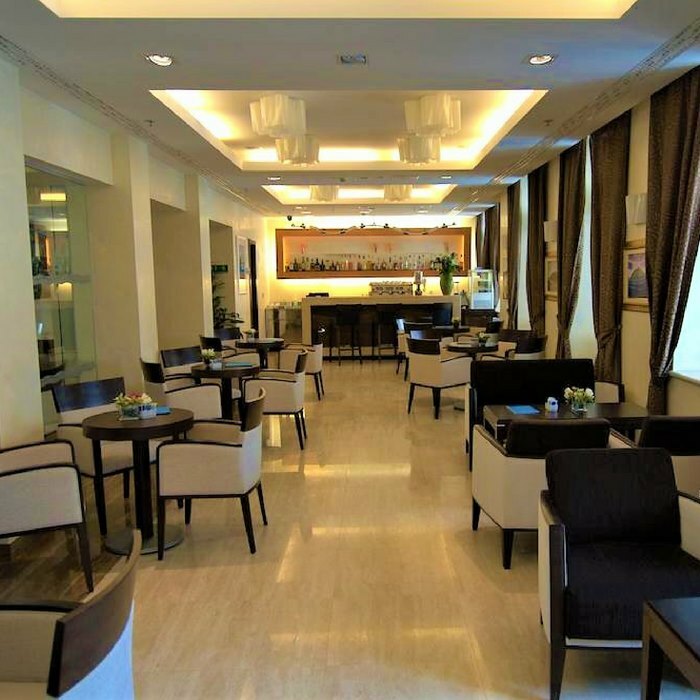 Local restaurants, cafes and shops can be found close to the hotel. The Old Town is a 20 minute walk away.